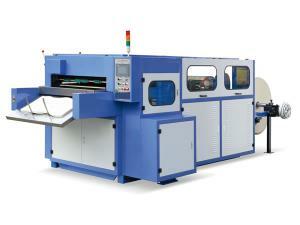 The medium-speed paper cup forming machine JBZ-12D is newly developed based on the common paper cup making equipment. Through innovation and improvement, the overall performance and the production speed of the disposal paper cup production line has been greatly enhanced. The production process includes automatic material feeding, cup body forming and sealing, cup rim lubricating, cup bottom punching, bottom paper positioning, bottom heating, rolling, cup rim curling, finished product conveying, etc. Our medium-speed paper cup forming machine is generally used for manufacturing ice cream cup, single or double PE coated paper cup for cold and hot drinks, and some others. 1. 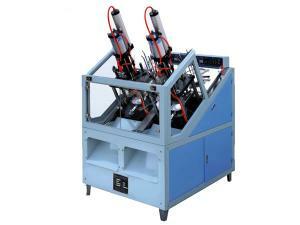 The automatic cup forming machinery adopts open-type indexing cam to achieve stable performance. 2. The flameless hot air system has high production efficiency. 3. 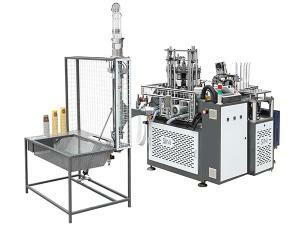 Composed of steel frame, the medium-speed paper cup forming machine has steady and compact structure. 4. The standardized production of the components enables high universality, good interchangeability, and easy machine maintenance. 5. 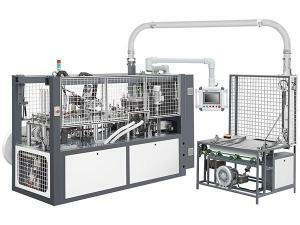 Full-automatic lubricating system ensures long-time continuous operation at high speed. 6. 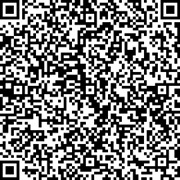 Intelligently designed, this machine is installed with PLC and servo motor driving device. 7. 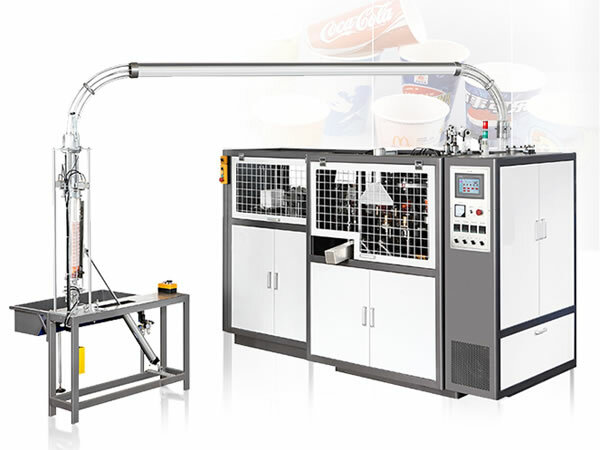 Other optional functions are available with this coffee cup making machine, including failure warning, counting, failure detecting, automatic shutdown, etc.